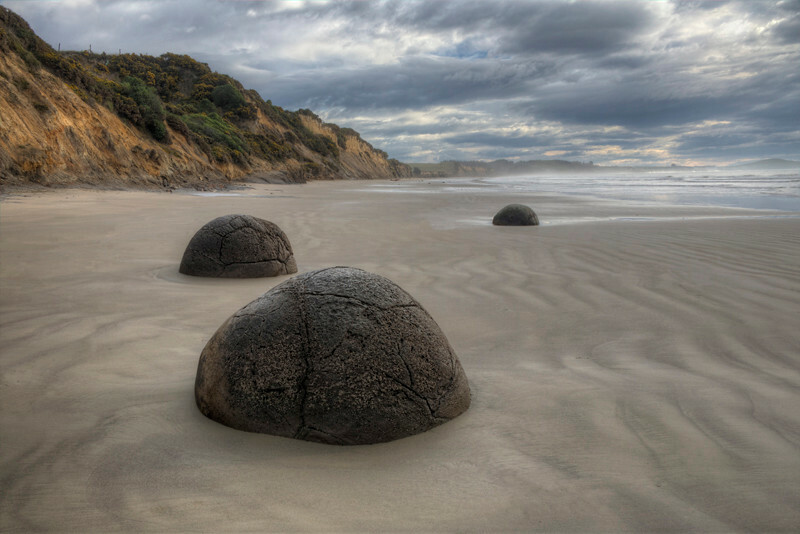 There are a lot of these spherical boulders on this beach. They look man-made but are not. The boulders consist of mud, fine silt and clay, cemented by calcite. The rock comprising the bulk of a boulder is riddled with large cracks called septaria that radiate outward from a hollow core. Go figure.